Download the OpenVPN Connect application here, for free. Download or send your configuration file to your android phone. You can find your configuration files in your emails (check spam folder too) with subject: “Your VPN configuration files“. 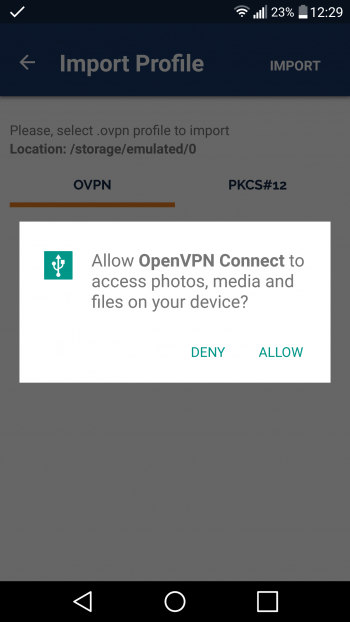 Open the OpenVPN Connect app and select the OVPN Profile option. After selecting the OVPN Profile option, you will be prompted to allow the app to access your device’s storage. Once prompted, tap on “allow”. Locate the download folder and the .ovpn file you downloaded in Step 1. Select your desired location and tap the IMPORT button in the top right corner, then tap ADD. 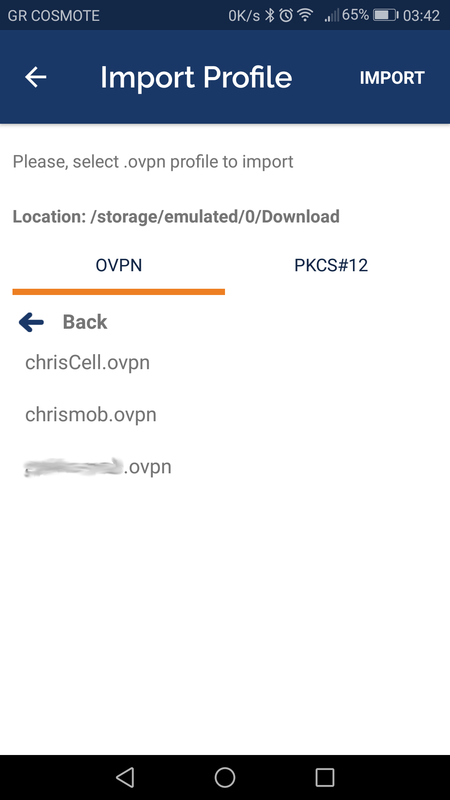 Once you have successfully added the .ovpn configuration file you can connect to the server by tapping the slider. The slider’s color will change to green, and a key icon and a shield icon will appear in your notification bar. Now you should see something similar like the image below.